I’ve been on a few pages lately and the discussion about making bread has been had. I’ve got a fail proof recipe that I’d love to share with you. I’ve used it for months now, and have not had a fail since I’ve perfected it. This makes 1 large loaf or 12 rolls. On speed 7 throw the Vitamin C tablet through the lid to crush. It only takes a few seconds. When it reaches 37deg, add the yeast. Mix speed 4/10 sec. Turn out on to your ThermoMat or into an oiled bowl and cover it with a damp teatowel. Put it in a warm place. It will take 20-45 mins to double in size, depending on the house temperature. Once it has risen, knock the bread down. This is the fun part! Now you can make your rolls, loaf, cheese and bacon scrolls…etc. Let it rise again on the tray/in the tin you will be baking in. This could take another 40 minutes. Put into a pre-heated over (around 180oC) and keep an eye on it. 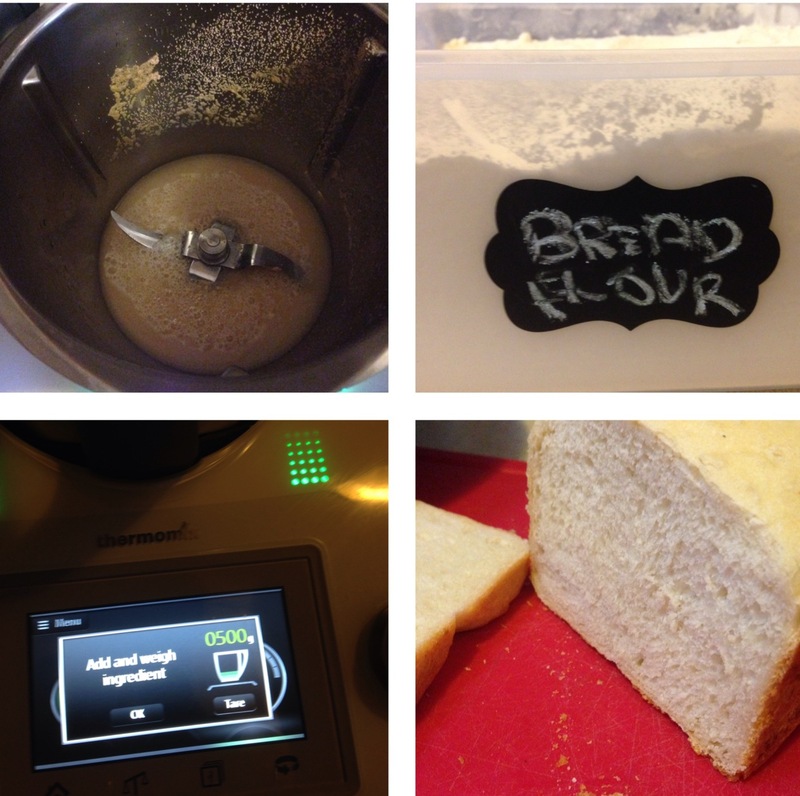 Bread can take anywhere from 20-45 minutes depending on your oven. Once its brown, it should be ready. Turn it out and tap the bottom. A hollow sound should be heard. Then it’s ready. Before mixing all the ingredients, you could add some seeds, linseed, chia or sesame to make it a bit different. If you don’t want to use sugar, you could substitute maple syrup, or Stevia. Be patient with it rising. Bread can take 2-3 or more hours to make, so give yourself enough time. Don’t rush the rising, it will effect the outcome. You could use wholemeal flour too. Don’t give up. Once you perfect bread, you will never buy it again. 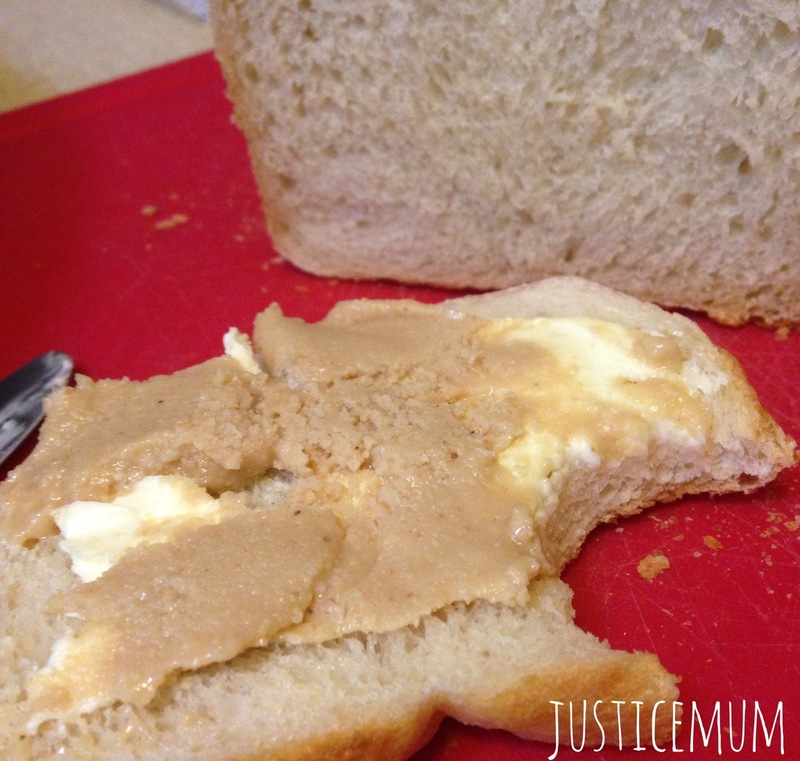 This loaf costs under $2 to make but its so much better than store bought bread. It’s very easy to freeze. Let me know if you try this and what you think!! Today I took 2 cartons of pure cream and created. 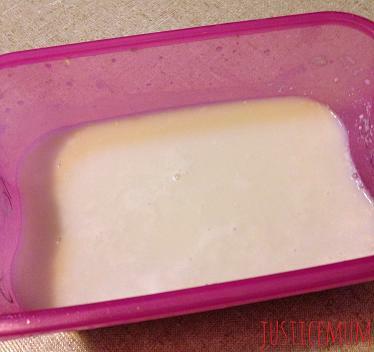 I made butter, butter milk and ghee. I’ve never made ghee before, and honestly, never really heard of it before getting my new cookbook Quirky Cooking. I’ve recently started using butter to cook with unless I use olive oil, but that’s about it! I love the taste of butter and it is so much better for you than margarine. I only ever use full fat everything. Lite and low fat foods have no place in my home! The other day I defrosted the cream that was near the use by date and was going to make scones, but like normal, I forgot to use it. 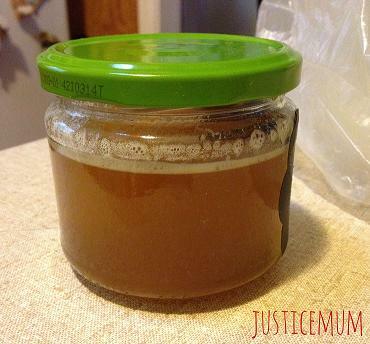 Today I gave it the smell test and wasn’t 100% on it so I decided to make ghee. First I made my butter and then I made the ghee in the Thermomix. I am surprised how easy it was. It took a few hours to make but I could set it and leave it until the machine sang and told me it was ready. I was a bit unsure as it reduced so much that I wouldn’t get much if any. And that I would be left with a burnt base. It made enough…but it did burn the bottom and took a bit to get it off. The second carton of cream I made butter as I needed it for pastry. So that made butter milk that I will now freeze and use in my Sunday pancakes. In the shops it would have cost me about $12.50 if not more. Plus there are zero preservatives in my stuff! And that wins it hands down for me. So for a little bit of time and work, I’d do it all again! Now I need to find out how to get shares in the pure cream company..or buy a cow! 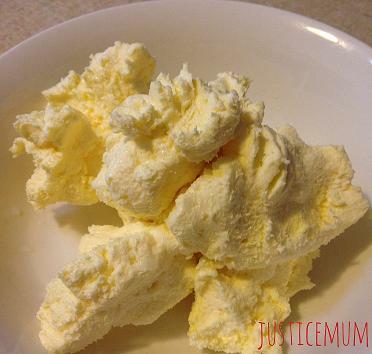 Place butter in Thermomix. I used 500gm. It makes about 300gm. Set for 1 hour/varoma/speed 1. Once done, set another hour/varoma/speed 1. Once done strain through a muslin cloth into a jar. Discard brown crumbs. Seal jar and keep in the cupboard until needed. Use a glass jar with a metal lid. It will set once it cools down. Use it to cook with instead of butter or oil. Failing this, my friend said you can make it in the microwave! 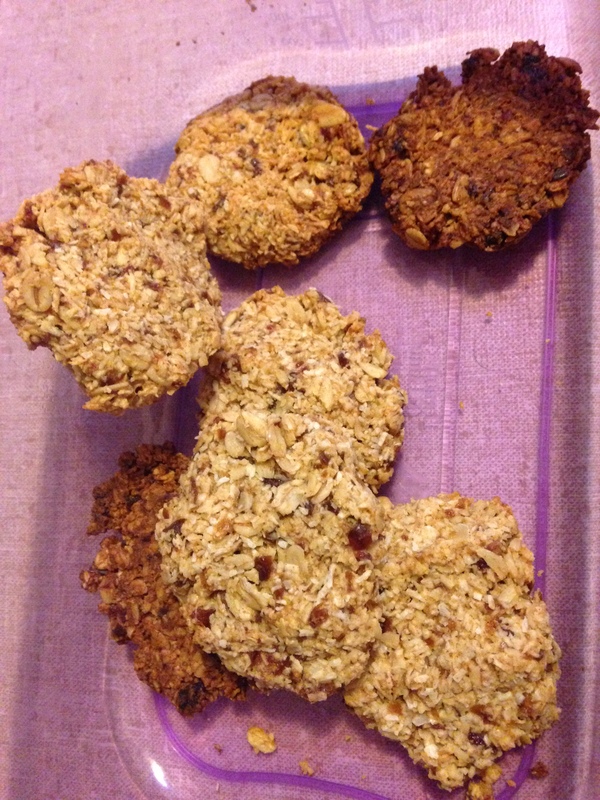 A few weeks ago I made some muesli bars that the boys actually ate. I’ve been buying bars for a while now as I haven’t been able to recreate them at home. In my attempt to cut out the preservatives that go into my families bodies, I ended up studying the ingredients and on first attempt, got a pretty good match. I played around with the recipe afterwards with horrible outcomes, so have gone back to the first recipe. I promised some friends I’d share the recipe so here it is. I made them in the Thermomix but you could do it in any mixer. These are the easiest thing to make too, they only took a minute to make the mixture. Makes: about 12 large bars. Line a flat tray with baking paper. Put all ingredients except choc chips in mixing bowl. Mix reverse/speed 5/10 sec or until it is all mixed and looks like dough. 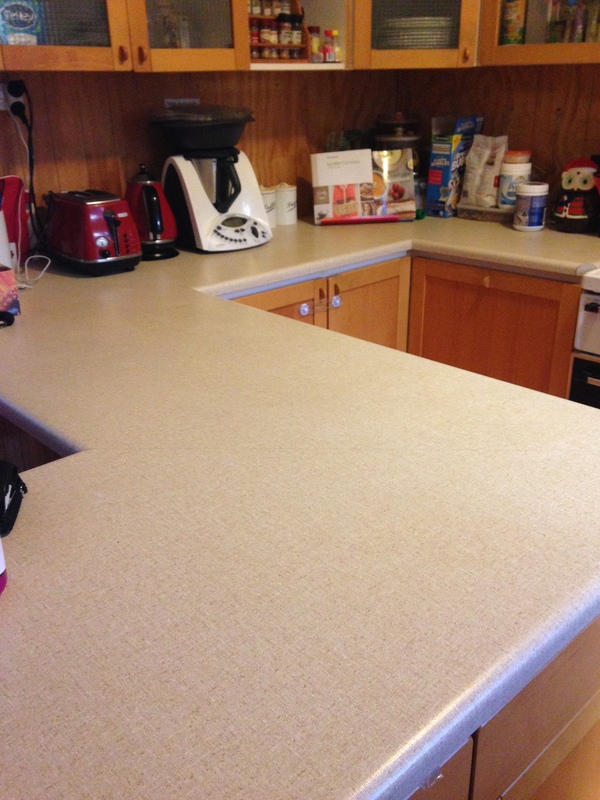 Flatten mixture on tray until about 1cm thick. Press into a square so the edges are straight. Bake in oven for 10 mins or until golden brown. Let it cool for about 10 minutes and cut into bars. These are great for lunch boxes. If you want you can add nuts if they aren’t being taken to school/playgroups. You could add macadamia nuts, walnuts, dried cranberries, mixed seeds, chia seeds, or anything you like for a different taste. *Please don’t steal my recipes, you can share it but all I ask is for a link back to this page and given credit. Thanks. 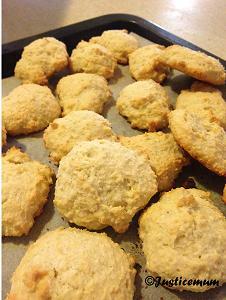 On my quest for the perfect coconut cookie for my boys, I’ve been trying a whole heap of different recipes. Some I’ve replaced ingredients with terrible outcomes and some with pretty good outcomes. I want to share with you one of my mistakes that was a good outcome. I call them Coconut Puffs. 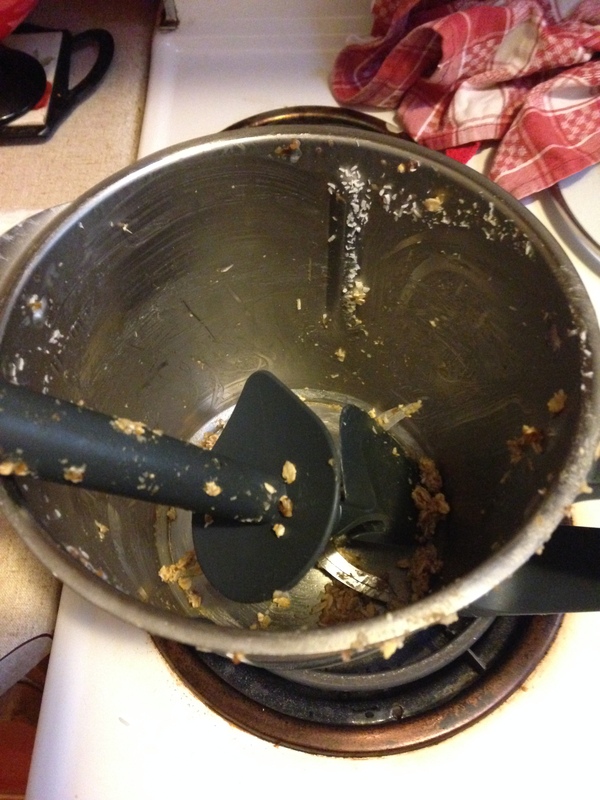 I was trying to make a normal biscuit and thought “what if…” I probably should never start a cooking session with “what if…” Chances are it will end up in the bin. But not this time. So here are my almost perfect coconut cookies. Pre-heat oven to 180oC. Line 2 flat pans with baking paper. If you want you can blitz your sugar but I low the raw sugar taste. If you want to, do this first. Add coconut milk and sugar to bowl. Mix speed 7/5 sec. Put flour and coconut in bowl and mix speed 4-5/10 sec or until its all mixed up. This is a sticky recipe so don’t be alarmed. Put teaspoon sized balls on to prepared tray and carefully flatten a little bit. Leave a bit of space between them. Place into oven for 10-15 mins. Check afte r10 because you don’t want to burn them. Let cool before munching. Everything I make can be made in any mixer. I made these another time and added more flour but they were hard balls. Less flour gives them a lovely puff. As they are nut free I’m guessing they are lunchbox friendly. It’s getting harder and harder to find new foods the boys will eat. Marshal is so damn fussy these days, it’s sometimes hard to get him to even come to the table for meals. So of course, like any mother, I worry about him getting the “right” amount of vitamins and minerals. We don’t eat too much crap, and if it is “sometimes” food at least its 96% homemade so I can control the sugar and salt content in everything. He used to be such a good eater. I might have babied him for too long, spoon feeding him until he was almost 2. But he ate everything that was served. Maverick is the opposite. He has had to fend for himself from very early on. He’s the one that uses forks and spoons. I did baby lead weaning as I just didn’t have the patience to sit and spoon feed him. It’s the best thing I’ve done. 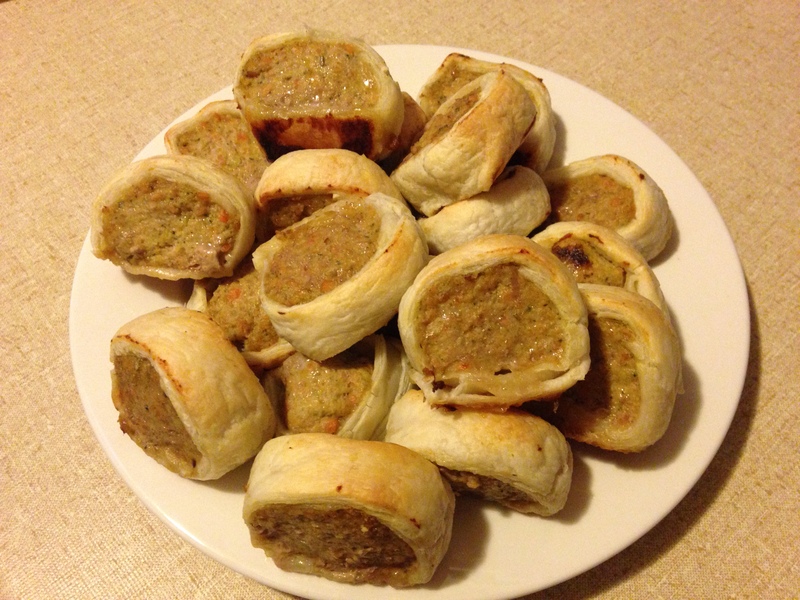 Last night I made sausage rolls in the hope that they were fun enough for Marshal to even try them. After a slow start and him munching down the pastry, I managed to get 2 of them into him. That’s a win in my book…just wait until you see what’s in them! I’ll be adding them to the menu from now on. 2 sheets puff pastry defrosted. I did not make this. I bought the frozen stuff although if you really want to make it I guess you could. 280gm mixed vegetables. 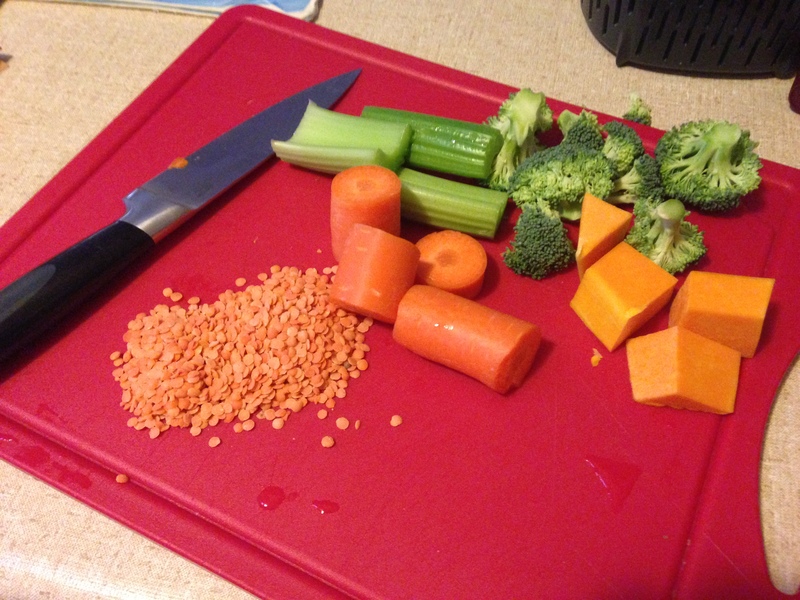 I used pumpkin, broccoli, carrots, zucchini and celery. Use whatever is in your fridge so it doesn’t go off. 450gm mince. I used pork mince but you could use beef or a mixture. Or mince your own. Pre-heat oven to 180oC. Line a tray with baking paper. Turn on blades to speed 7 and put in garlic thru the lid. Once crushed add onion. Speed 6/5 sec. Add all vegetables. Mince speed 7/10 sec until it is all mixed together. Scrape down bowl. Add mince, lentils, herbs and salt and pepper. Mince until it is all combined. Speed 6/5-10 sec. Split the mixture between the sheets of pastry and make a log down one side. Make sure it goes all the way to the end. Roll the pastry up until you have 2 pastry and mince logs. Cut each log into 10. About 1.5 cm wide each. You can cut them wider if you want. It might have a longer cooking time. Place onto a prepared tray and bake in oven for 25-30 mins until golden brown. Ready for the oven. Lots of filling! These are so yummy and full of vegetables the kids won’t even notice. You could also use half mince half kidney beans if you wanted to reduce the meat intake. I don’t recommend freezing them, so if 20 are a lot, half the recipe. **If you want to share my recipes, you may, but please don’t steal my ideas. 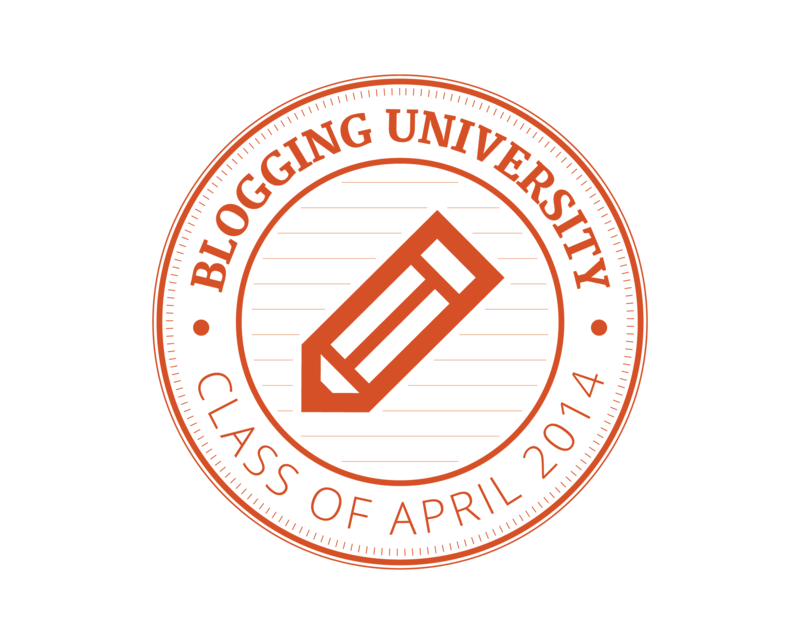 Also a link back to my blog would be nice…that’s all I ask. Yesterday I had some friends over for lunch. Last time they were down I went crazy with food. Down to making my own mayonnaise. This time I relaxed it a bit. I made 4 dips and that was it. But it was plenty. I loved the casual sitting around dipping and eating. I love dips. My boys love dips and I love that they love dips. Now I use veggies and fresh ingredients, instead of buying dips, it makes it ok that I can give them a dip dinner. At least that’s what I’m telling myself. Yes I’m addicted to this website. Has some amazing recipes. 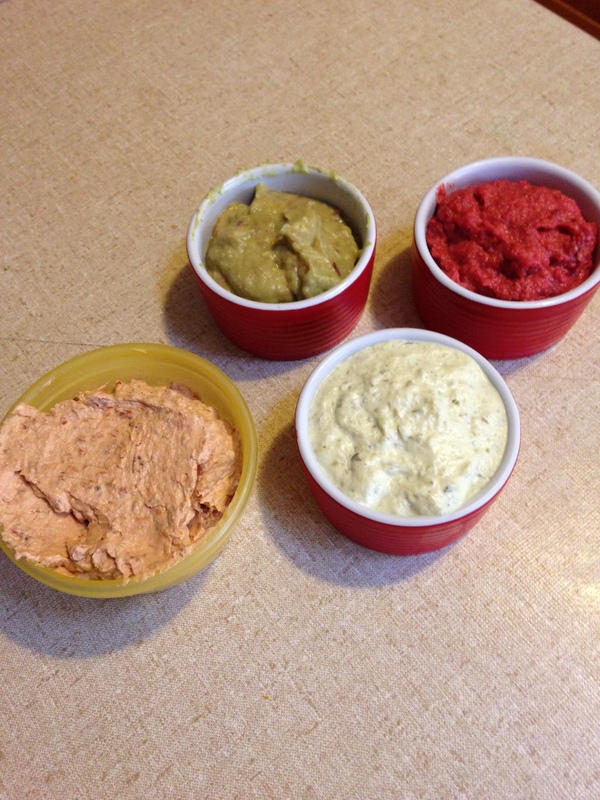 Dips…you don’t get flavours like these when they are store bought. Since I’ve had Thermo, I’ve become a food snob. It’s awful. I took Maverick shopping the other week, but after packing my home made healthy food and forgetting them on the kitchen bench, I had to buy him stuff. OH MY! The guilt I had for giving him “store bought packet food” was crazy. I knew he wouldn’t die eating it. Hell, he’d eaten it for months and he was fine. But the wave of “oh my God, I’m the worst mother” was intense. 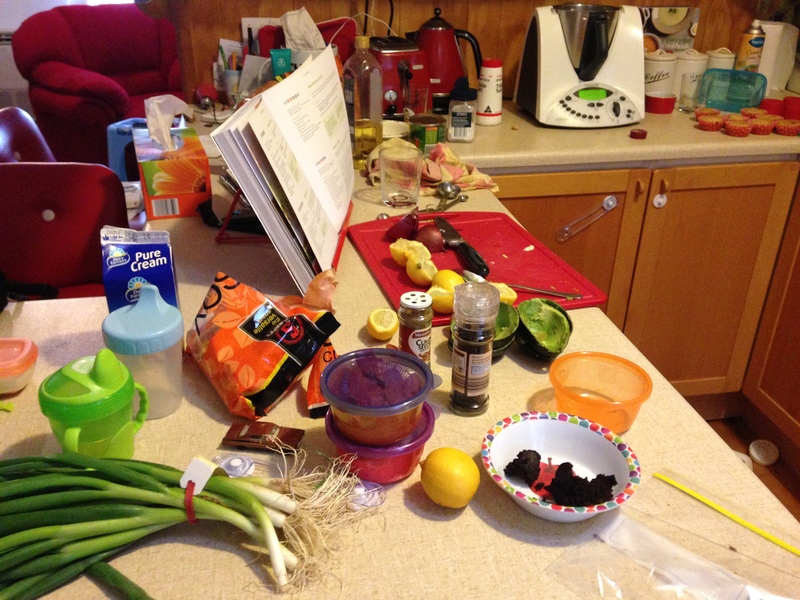 I try to make new foods for the family, but end up throwing a lot out. Marshal will take a look at it, or sometimes not even look at it before he yells “I don’t like it, it’s disgusting”. Then continues to eat pasta, peas and corn for dinner. I’m sure he will change one day…right? RIGHT? Maverick is my star pupil. He eats everything. Such a champ. He had a wonderful time dipping chips the other day over and over again. Luckily everyone was finished, I’m not sure we would have wanted toddler slobber mixed flavoured dips. I’m just happy with some mouthfuls he could still go “mmmm”. So the other day I decided to make some biscuits that didn’t have sugar. Mmm, yuck? Well, yes and no , I named them the cupboard biscuits…I used what I had in my cupboard. Oats, coconut, dates…and then once baked, I thought something was wrong. I hadn’t added anything to flavour them except a few dates. You couldn’t even taste them! I tried my luck with the boys. Marshal loved them. He even asked for more. Maverick even ate a few. I thought that was great. They ate the blandest biscuits ever. Yippee. So I decided to make some more but this time add some golden syrup. They were too sweet for me and the boys and my mum ended up eating them. I think some also got smooshed into the floor. Yesterday I made some more, but used maple syrup. Only a bit and some more dates. I thought they were pretty good…the kids don’t like them. Can’t win. Guess I’ll be going back to making the cupboard biscuits. Add dates and mince on 10 sec/speed 7. Scrape down sides of bowl. Add everything else and mix on reverse for 20 sec/speed 4. If you find it not sticking together, I would turbo it for 2 secs NOT on reverse. It’s quite a sticky mixture. 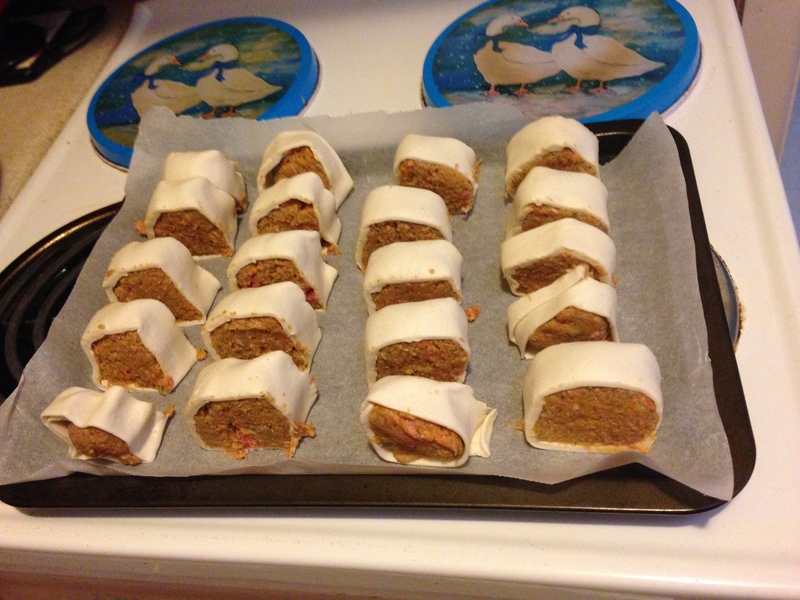 Roll into little balls, place on prepared tray and flatten. Place into oven 180oC for about 10-12 mins until golden brown. You could try adding some choc chips, sultanas, raisins or to sweeten them use ½ tbsp honey, golden syrup or maple syrup. The good thing about these biscuits is they are school lunchbox friendly. Dairy, gluten, nut and refined sugar free.